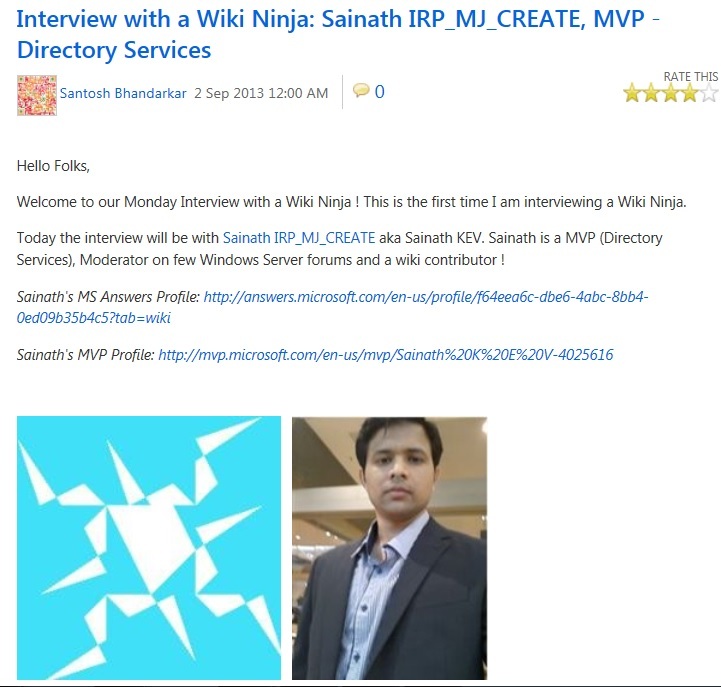 In recognition of SE Asia MVPs ongoing contribution towards TechNet Wiki, Directory Services MVP Sainath KEV was interviewed by Santosh Bhandarkar, where he shared his thoughts on TechNet Wiki and personal favorites! MVP Sainath KEV has started authoring on Windows 8 primarily focusing on Security and Identity management. he has so far authored 33 articles! Catch the Sainath KEV interview here! Thank you Sainath KEV for your valuable contributions!